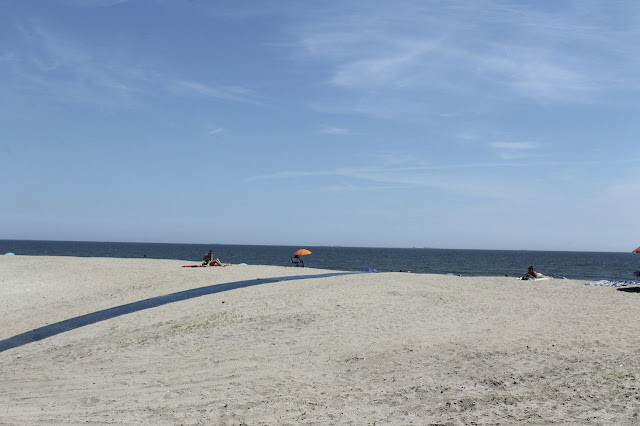 Rockaway, a beach community in the borough of Queens on the south shore of Long Island, may not feature the bells and whistles of Brooklyn's Coney Island, but the spot provides just the necessary elements for a satisfying summer escape from the city. 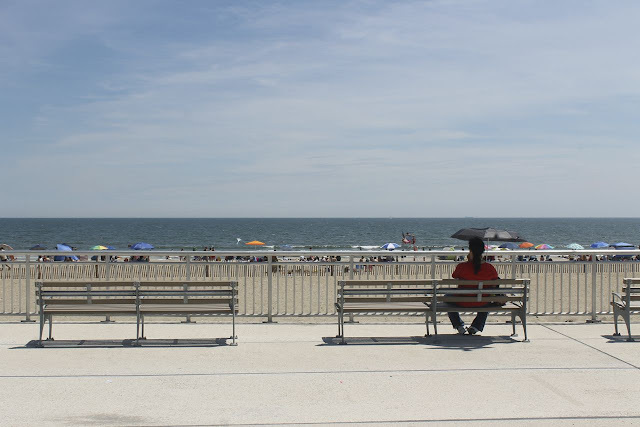 On the 4th of July, while the Coney crowd cheered on Nathan's hot dog eating contestants, the Rockaway beachcombers quietly chilled out on an expansive beach. If anyone makes any noise on Rockaway, the sound is muffled, drowned out by the formidable crashing waves of the Atlantic Ocean. 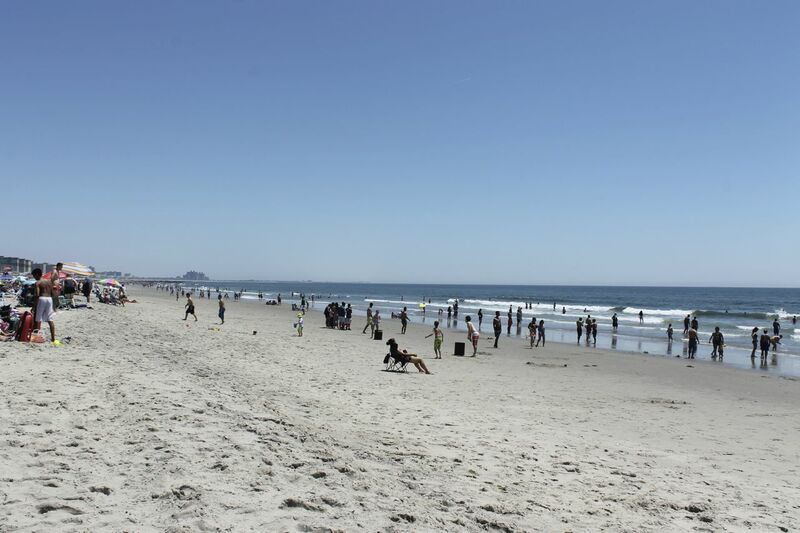 The essential beach vacation - the sand, the sea, and on some days, abundant sunshine. 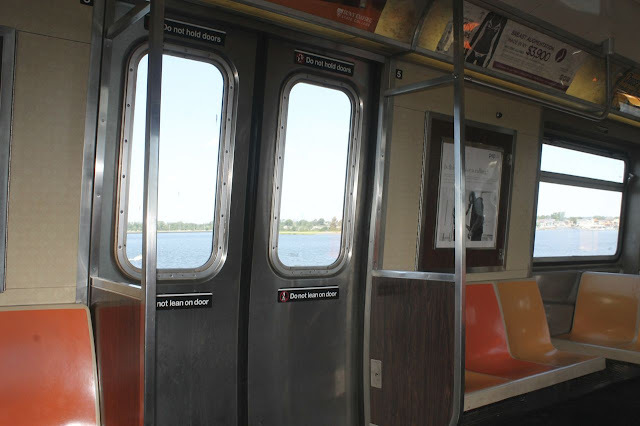 Multiple train lines serve Coney Island, but you'll need the A train and its connecting shuttle to get to Rockaway. Toward the end of the ride, the train crawls along a thin strip of land in Jamaica Bay, affording uncommon views of both abundant waterfowl and low-lying jets on approach to nearby JFK Airport. The A train shuttle stops at several points along the beach. The stop at 105th Street provides easy access to the beach and boardwalk as well as proximity to the Rockaway outpost of Caracas Arepas Bar, a fun Venezuelan spot for food and drink. The boardwalk at Rockaway Beach near W. 106th St.
Superstorm Sandy in October of 2012 wrecked havoc on Rockaway, leaving parts of the 5.5- mile boardwalk in ruins. One of the final sections of the newly built concrete boardwalk opened this month. In fact, much of the built environment looks brand new, as many park facilities and other structures have been rebuilt or refurbished. 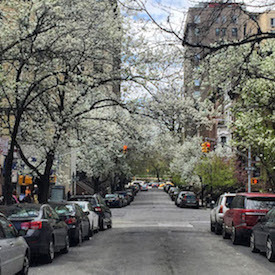 During the summer, the urban canyons of New York City can feel oppressive and claustrophobic, but a trip on the A train can bring down the walls and open up long views of the ocean blue. There's not too much to this. Grab a MetroCard and locate a Mott Av-Far Rockaway bound A train. * Bring sun protection, extra water, and footwear appropriate for walking on sand and concrete. The standard black umbrella can come in handy no matter what the weather. 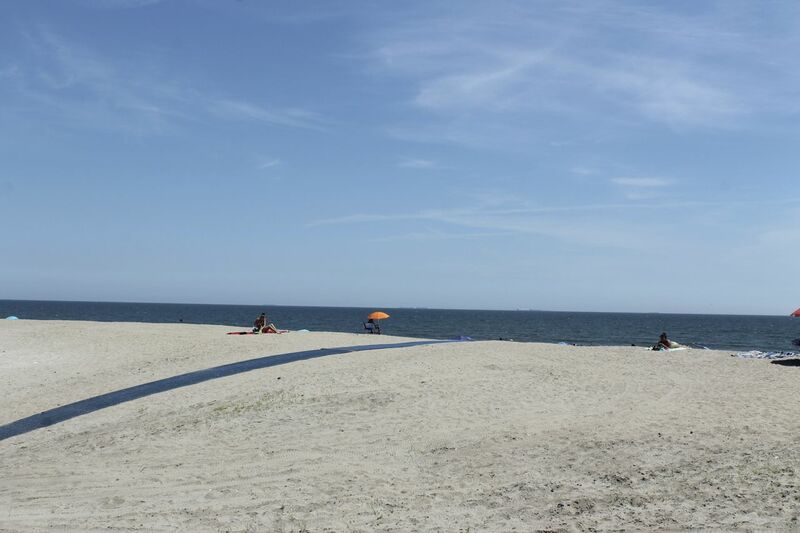 Photos from July 4, 2016 on Rockaway Beach and Boardwalk near 105th and 106th Streets. For more photos see this album on Flickr WOTBA. 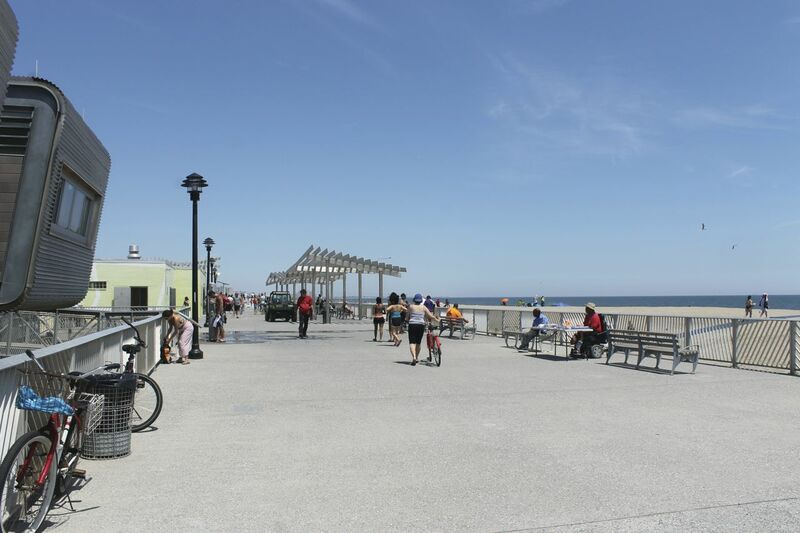 • Refreshments: The Rockaway outpost of Caracas Arepas Bar is located on the boardwalk just west of Beach 105th Street. The Beach 105 St. subway stop is also nearby. * Directions: By subway - Take the Mott Av-Far Rockaway bound A Train to Broad Channel Station A/S. Transfer to the Rockaway Park - Beach 116th St. shuttle. 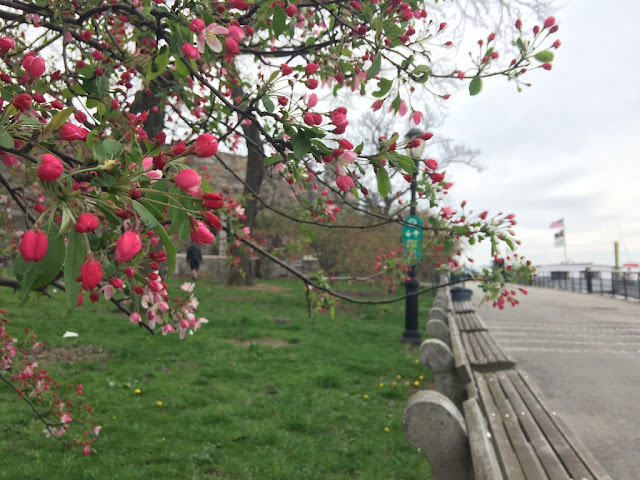 Get off at Rockaway Park - Beach 116th St. or earlier stops. From W. 4th St. in Manhattan, the trip is approximately 1 hour and 13 minutes. See MTA Trip Planner for personal itineraries.